This mountain has been becalmed; held still all night afloat an ocean of fog, which laps silently at the hull of trees beneath the summit. There are faint sounds of imagined movement coming from the valley below; like swells on a distant shore. 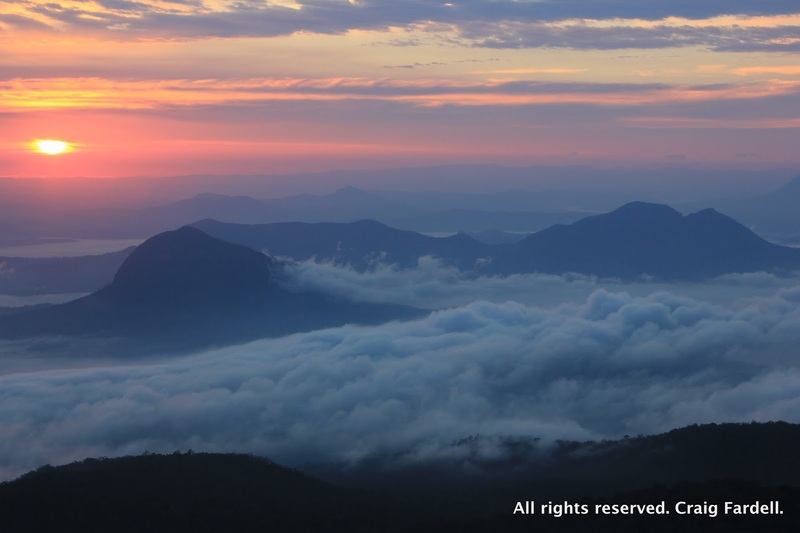 Then the sun cracks the eastern horizon and golden light reveals that there is no better place than a mountaintop for watching and admiring and thinking and learning. For the first 5km of this adventure I couldn't wipe the smile off my face. The joy of rolling through the countryside was infectious: an icy wind at my tail, granite outcrops and boulders dotted the hills, fern drenched gullies lay in the moist shade of winter. 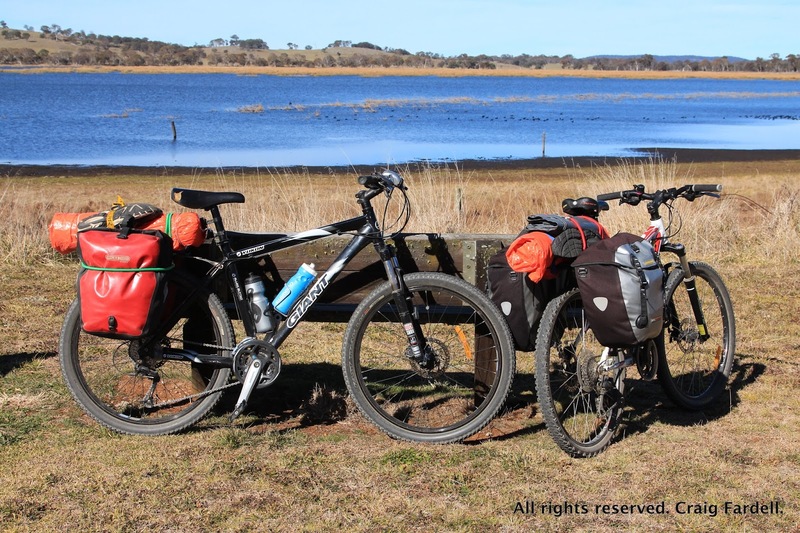 With a niggling foot injury putting me out of walking action for a while, Caz and I spent last weekend rediscovering another favourite type of outdoor adventure - cycle touring. It had been years since we had done anything like this and within the first two hundred metres I remembered just how much fun touring was.